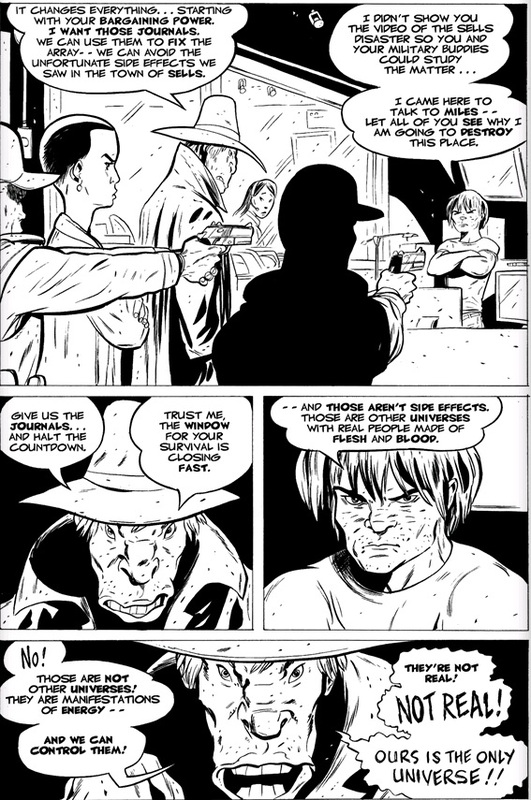 When last we were with interdimensional hopper RASL it looks like he’s been cornered by agents of the government. It also looks like there are people in the government who think that alternate universes are nothing more than shadows that should be destroyed. 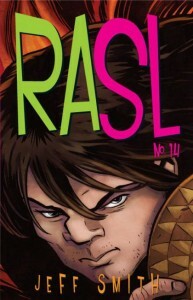 Of course, we learned some issues ago that the many universes of RASL appear to be unraveling. It’s not entirely clear if that’s because of government experimentation or if dimension hopping tears apart the fabric of the universe itself. I notice that crow faced guy talks like a cultural conservative. When he criticizes Rasl for believing in nothing is he criticizing him for being one of those Dawkins type atheists? For daring to create a reality that’s more complicated than the one that he thought he was in? Stay tuned to what I’m sure will be the very violent finale. One more thing: the scary little girl makes another appearance in the last panel. She just creeps me out.We think she’s the face of God and considering the state of the universe (s) we live in then I would say that would be a pretty good bet. There are a lot of questions to be answered in the next and final issue? How does Rasl save the universe or all the universes? What is the significance of this recurring scene of the droplet of water? Why does Rasl lock up the crow-faced guy in a freezer instead of killing him considering how terribly violent this guy is? How many versions are there of Maya, his sometimes love interest, and are any of them dangerous? Final verdict: 4.6 out of 5 stars. I can’t wait for the movie.